Two of our long serving committee are retiring after many years of faithful service to the Iverk Show. Elizabeth Malone has been secretary of the cattle committee for many, many years. She has been to the fore and there is nothing she does not know about running a successful cattle show. Whoever takes over will have a great opportunity to learn from the ‘Mistress’. Elizabeth, we wish you many years of health and happiness and I’m sure you will be able to see more of the show than you have in recent years. Bill Slockett is also stepping down as chief steward of the Food Hall. Over the last 20 years or so Bill has built up this section from scratch. And what a job he has done. Nothing is left to chance with Bill. Two or three days prior to the show everything is in place and everything runs like clockwork on the day. Thank you Bill and we look forward to seeing you relaxing around the show for many years to come. Yes indeed, the show could not go on without you – its as simple as that. First the land owners whose fields are used showing horses and sheep, and for car parks. We just cannot thank you enough and as the crowd was bigger this year than ever we were able to accommodate them due to your generosity. 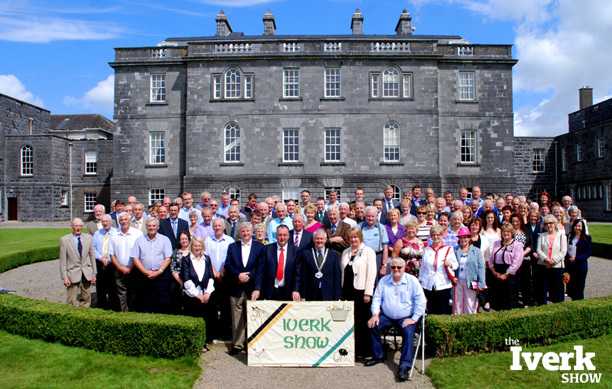 The chairman and members of the committee wish to thank everyone – young and old, sponsors, exhibitors and visitor from home and abroad – for your support at the show yesterday. It was a fantastic day and everyone enjoyed it. It was great to welcome once again our friends from Newfoundland. We also had visitors from as far away as New Zealand, Australia, Philippines, Peru and getting closer to home, Belgium, The Nederland, Spain and the UK.